Shirley Taylor, 78, Canton, died, April 13, 2013, at her home. Calling hours will be at the funeral home, Tuesday, April 16, 2 -4 and 7 – 9 PM, the funeral service will be Wednesday, April 17th, 1:00 PM, Lay Pastoral Assistant Martha Helmer officiating. Burial will be in Jerusalem Cemetery. Shirley is survived by her daughters, Suzanne Kane and companion George Britt, Uniontown, PA, Sandra and husband Andrew Morrison, DeKalb, a brother, Herbert Stacy, Lowville, a sister Helen Stacy, Gouverneur, grandchildren, Kristin and her husband Robert Allender, Devon Kane, Andrea Morrison, Stacy Morrison, a brother in-law Bill Taylor, DeKalb, a sister in-law Gwen Taylor, Gouverneur, several nieces and nephews. She was predeceased by a daughter, Mary Ellen Taylor, a brother Harold Stacy, and a sister, Marion Davis. Shirley was born on February 7, 1935 in Gouverneur, the daughter of Robert and Gartha Stevens Stacy. She graduated from Gouverneur High School in 1954. Shirley married Daniel S. Taylor on July 31, 1954 at the Gouverneur Presbyterian Church, Rev. Andrew Schofield officiating, Dan died on March 23, 2010. Shirley was a food service worker at Canton Central School for over 17 years, she retired in 2006. She was a member, Sunday school teacher and on the Sunshine 2001, she was a 4H leader and judged sewing, a member of the DeKalb Hermon Senior Citizen Club, Canton Senior Citizen Club, and The Friday Girls. She loved to knit, sew and her cats. In lieu of flowers donations can be made to Hospice and Palliative Care of St. Lawrence Valley or the DeKalb Junction United Methodist Church. What a gift to have given her, comfort and freedom of suffering with hospice care. It takes a strong family and strong person, like your mother, to embrace the end and choose comfort. I am thinking of you Sue and your dear family. Hold eachother close. May your strength for one and other hold you up. So very sorry for your loss. May God Bless and Guide you and your family through this difficult time and bring peace soon to your hearts. Shirley certainly loved her job at CCS,she was so kind & helpful to the students & staff ,always a smile on her face ,a pleasure to work with. 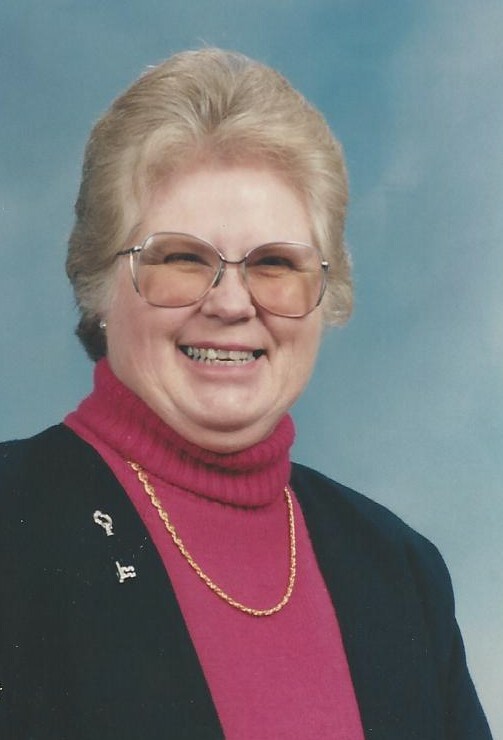 Shirley certainly loved her job at CCS,she was so kind & helpful to the students & staff ,always a smile on her face. You are in my thoughts and prayers. May you and your family find comfort and peace with your loss. Sue–so very sorry to learn about your loss. From the messages it appears that your Mom was a wonderful women and was loved. If there is anything I can do for you just let me know.